Hey, y'all! It's that time again. 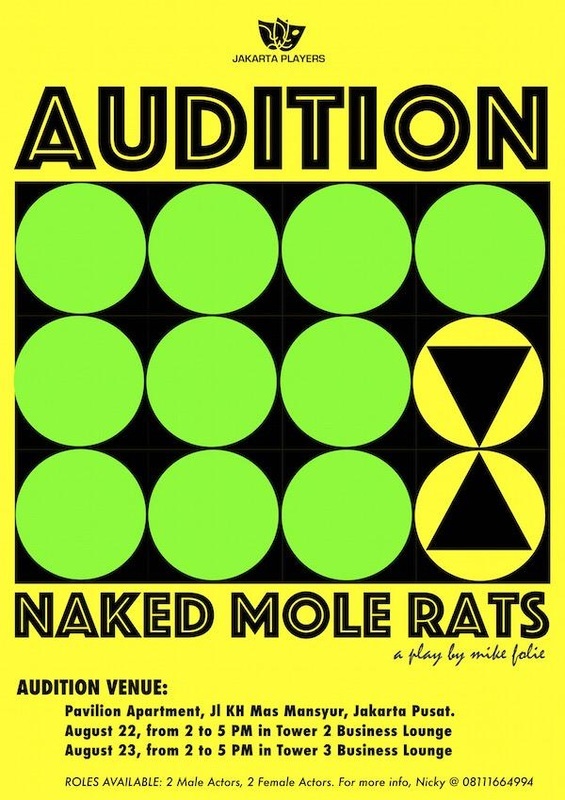 JP will produce a play this November 2015, and we're now looking for actors. 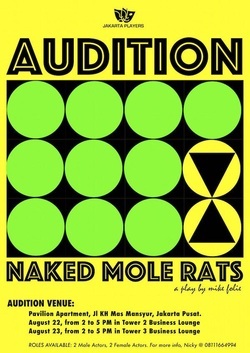 We're looking for male actors and female actors — between the age of 25 to 55 — for a play called Naked Mole Rats in the World of Darkness by Mike Folie. It's a comedy about men and women! Yourself. We will provide the materials for your audition on the spot.